Prague Visitor Guide is a simple and intuitive application whereby you can see Prague as it really is. 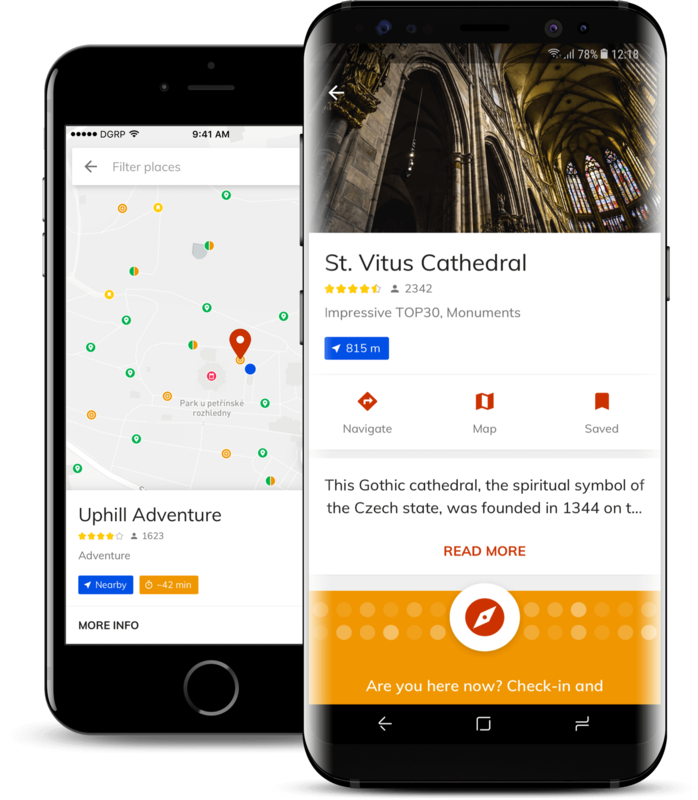 The Prague Visitor Guide application allows you to explore all the beauties of Prague in a fun and adventurous way. With our application, you can also explore corners of Prague which are not part of typical guides. Of course, there is a full information service and with this you’re able to navigate yourself around Prague as if it’s your home. This is also supported by an offline map that is part of the application. With the offline map of Prague, you won’t find it necessary to derive data or pull a paper map out of your backpack. In the Prague Visitor Guide you will find an offline map with all the interesting places in Prague and its surroundings. You will also find the Prague Visitor Guide Adventure game in the application and with its help, exploring Prague's adventures will be a great deal of fun. Get to know Prague, fill tasks and at the same time visit places of interest. In the game you can move to different levels and compare your score with others. In addition, you can earn some nice bonuses in the form of discounts or free admissions. Travel around Prague just like a local. Effectively, cheaply and safely. Did you know that Prague has one of the best transport systems in the world? Still, it’s always nice to have a little help to assist you with the main information regarding Prague’s transport. You will find this in the Prague Visitor Guide application. In this application you will find important information that allows you to be completely safe in Prague. Important telephone numbers, information regarding hospitals, places or situations that are risky for tourists.